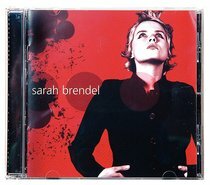 Sarah Brendel is one of Germany's most talented, unique voices. She has already earned critical acclaim and international mainstream radio success. This self-titled release showcases her alternative-rock style, with electric guitars, atmospheric soundscapes and honest lyrics. It is sure to establish Brendel as one of the premier artists in the music industry.